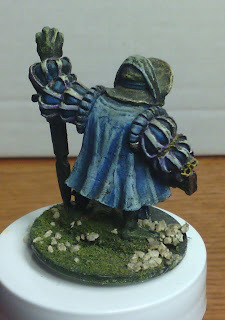 As I posted on Monday, Sherri and I have returned to miniature painting after a long hiatus. In the couple of months leading up to this we’ve spent time read online guides, watching videos, and figuring out color theory. We’ve picked up some solid advice and have changed our styles in response. I thought it would be good to look at and inventory some of our earlier work, to get a sense of what we were doing and how that fits with our new projects. 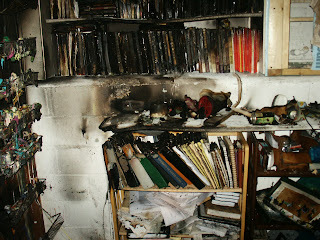 We stopped painting after the house fire which cost us nearly all of our painting supplies. In the picture below you can see the remains of the paint rank on the left affixed to the wall. That was about half of our supplies. Not pictured are all of the GW, Reaper, Vallejo, and Armory paints. Most of those are splayed across the floor in a bizarre melted mosaic. 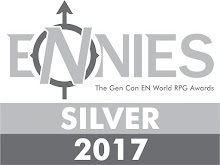 We lost some miniatures in the fire as well- those closest to the initial site and nearly everything plastic or fragile: two dozen samurai I’d just finished, Confrontation Goblins, Dark Elf Corsairs, a ton of finished and painted Armorcast and Mordheim scenery. However, the greater chunk of the figures survived because they were on the other side of the room or outside the path of the heat as it went upstairs and devastated the first floor. 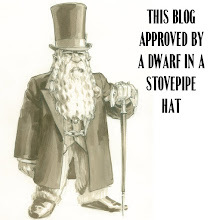 The problem of the miniatures lay in the ash and soot. All of that is invariably caustic, acidic, and damaging. It breaks down fabric, etches glass, and scars plastic. It has to be cleaned off of things or it will destroy them. That meant lesser-value items simply had to be thrown away. 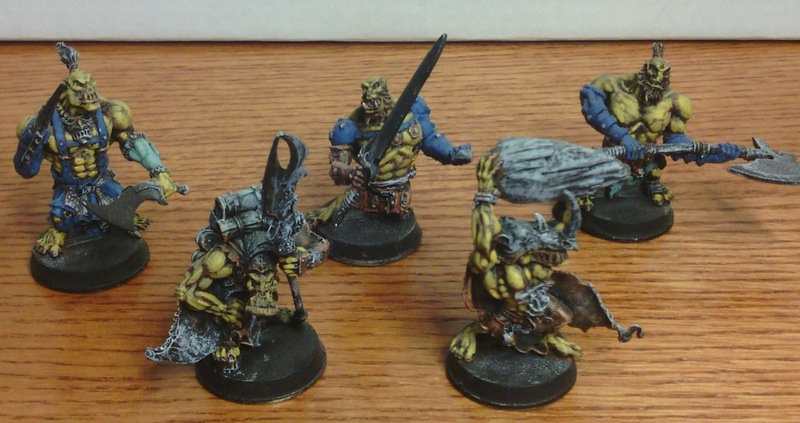 However the Servicemaster group we worked with said they could have the miniatures cleaned with a sonic cleaner- apparently used to remove soot and such from more delicate or difficult to clean items. I don’t know the details. They did so and with a great deal of success. Unwrapping everything took days. I’d say of our previous collection, about 70% survived. Of those remaining, about 70% came through well. The remaining 30% had bent or broken sections, missing pieces, discoloration, or wear through the paint from the cleaning and handling process. I’d used a semi-gloss coating on most of my figures and in most cases that was eaten away by the cleaning process. I’ll talk a little more about that in below. 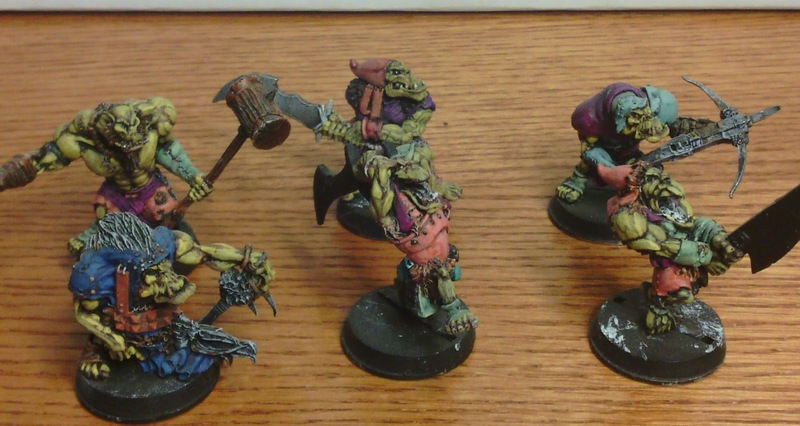 These are a series of Orcs from Wargames Foundry. We picked them up along with some lines- Pirates, Victorians, Cyberpunk, and Russians. They’re great figures- enormous and amazing. 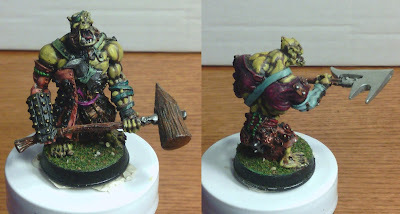 Sherri doesn’t usually paint units as I do. When she does a batch of figures, she almost always does some kind of differentiation. 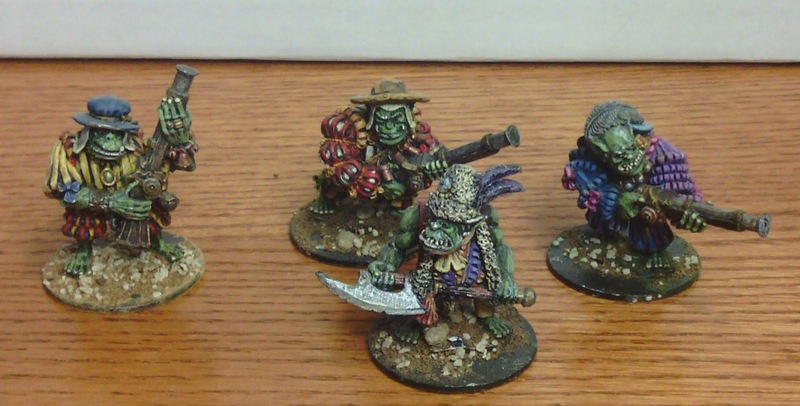 So she made these Orcs an experiment in different colors. However, one of the problems has been that some of the Orcs didn’t do so well in the cleaning process. There’s some serious wear. As well, some have suffered fading or have soot still remaining on them. I suspected that the color loss came from a combination of factors. I figured the cleaning has done some of that- or the remaining acid had bleached them. But I also considered that the kinds of paints we’d used might be a factor. Previous to the fire, we’d used about 50/50 Craft Paints and model paints (mostly GW and Armory). I’d heard that the pigments in those faded more quickly over time. However yesterday I had a happy accident. I’d watched a video from Dr. Faust showing his method for cleaning old pain from figures. We decided to use that to clean two of the worst of these Orcs, in order to start from scratch. The process takes about 24 Hours. But in my fussiness, I check them after just a couple. I noticed that the colors seemed brighter and I took them out to check. As you can see just a little of the cleaning managed to fix some of the problems and brighten things up without removing much of the paint job. I’ll be trying this on some of the others which look faded. On the other hand, I like to paint units in like colors. I like working in batches rather than individual figures. I suspect that’s because we have too much to paint and I want to get more done. I went with a slightly different skin tone for these Orcs as I didn’t want the usual green- instead something closer to a yellow-ochre. From a black primed figure, I dry brushed white and then laid on chestnut ink as the base skin tone. I then did two layers of yellows. 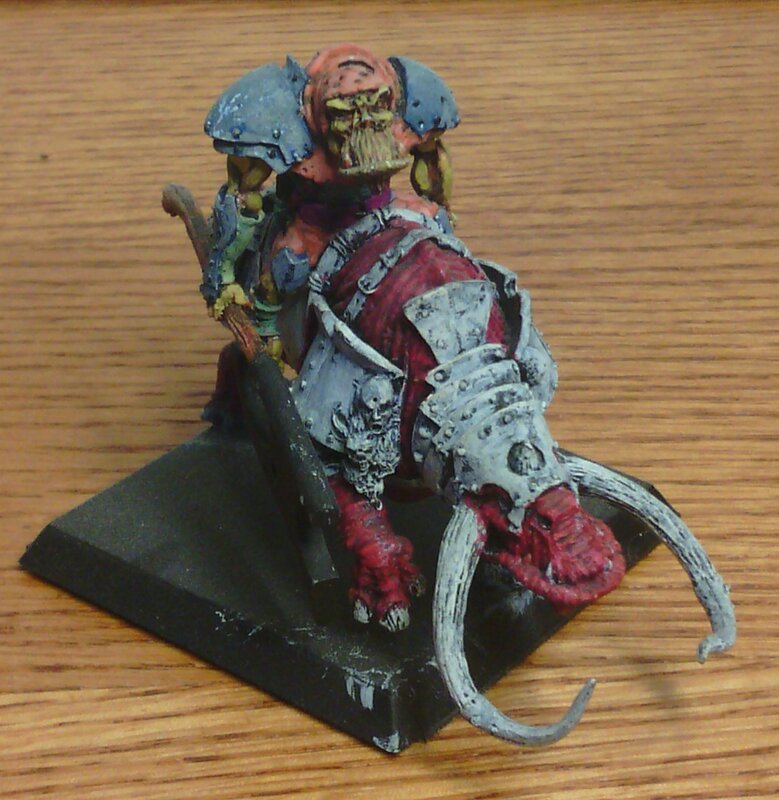 For the armor color schemes, I also wanted something unusual. I had an art book which presented historic color themes- I chose a set associated with classic Chinese and related palettes. Actually I started to pick out the colors and then I had Sherri actually refined those for me. I laid the skin on a large number of the Orcs. The five above are the ones I actually got finished before everything went wrong. 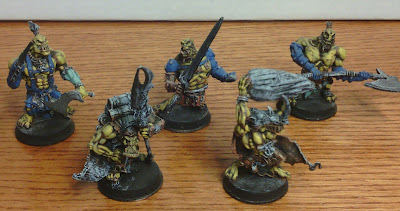 Below are the other’s I’d just begun painting- all have flesh and some have other bits and bobs done on them. As you can see there’s a roughness to the paint jobs- my approach was quick and dirty. Essentially three colors with no thinning, just using things as highlight layers to achieve maximum contrast. I looks even messier on some of the figures I’ll show in the next few weeks. They look decent at a distance, but not close up. The patchiness becomes visible when you examine them. 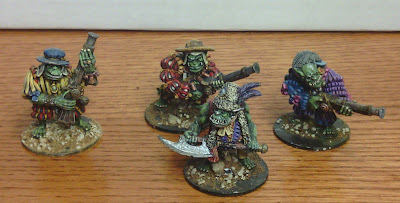 So the question facing me now is how I to proceed with these Orcs? I could clean all of them and start from scratch. Since I still have another dozen completely unpainted, that might be a plan. On the other hand, I could try to reconstruct these colors and finish them up. The skin might prove to be the most difficult to recreate on new models. On the other hand it might be fun trying to find the right blues and terra-cotta to make that work. I’m leaning towards that approach simply because I’m a little lazy and I hate throwing away work I’ve already done. Those are wonderful sculpts and the painting is very impressive too, especially the mix of colours, which is vibrant without being garish, in the first set especially. 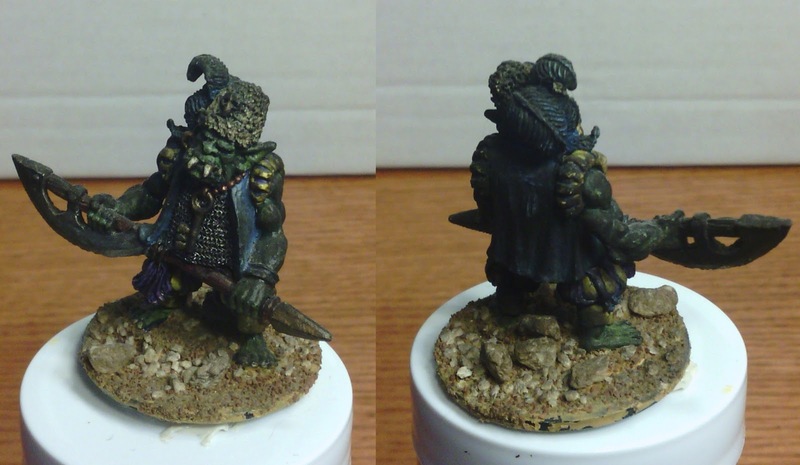 The skin tones of the second set of orcs are outstanding - ruddy but warm, with a suggestion of dirt and circulation. The wear and soot is actually good-looking in these pictures, and maybe you can keep the soot, even finish it with varnish, and work with the wear, painting up the patterns left? As for the last question, I'd definitely keep going with these. I really like what you've got there - that skin tone is fantastic. The big box set of KoW Orcs I just got: i'm going to do them in ruddy flesh tones rather than "traditional" green, but might add tats in green as an "homage" to that notion of greenskins. I say press on and try to match - variation won't hurt if it isn't exact. I'm really enjoying this series! That seems quite a disasater to bounce back from, so it's nice to see that you're painting again. Funnily enough, I've just recently been experimenting with the three-stage Foundry/Dalimore method. 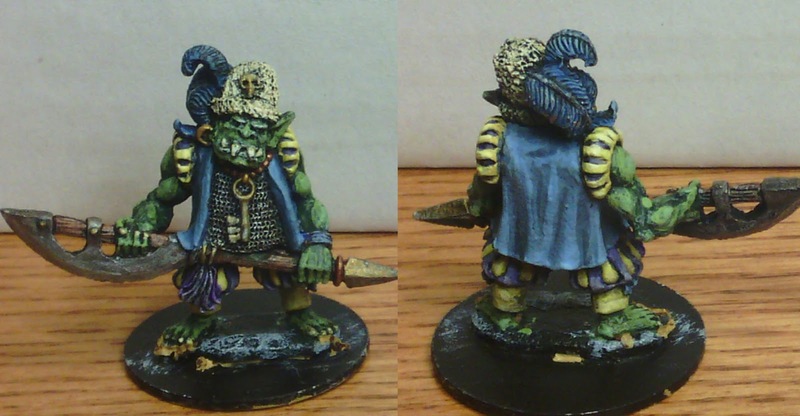 It worked okay, but I agree with you that a series of blended highlights (which is how I learned to paint minis from the start - the advantage of having a fine artist for a father) is the best way to go, despite being a little slower. 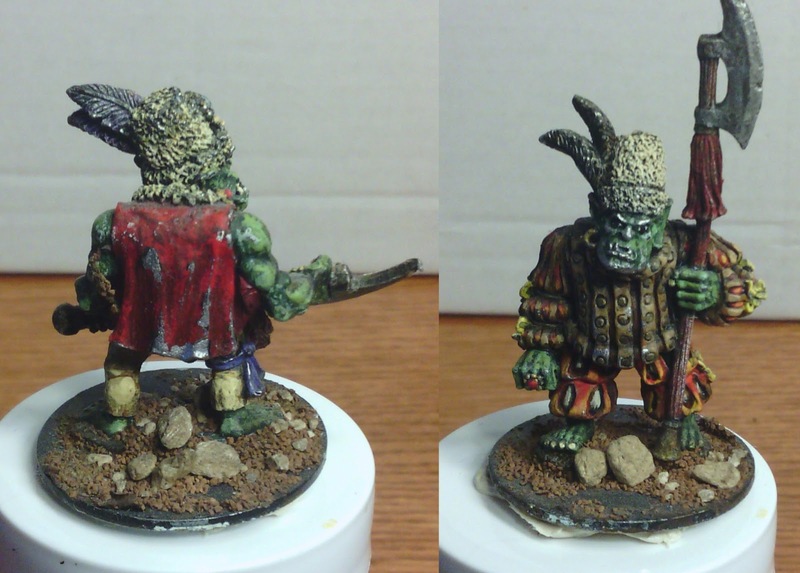 You can see my "Foundry method" experiment most clearly on my latest minis-blog post here. Great work! 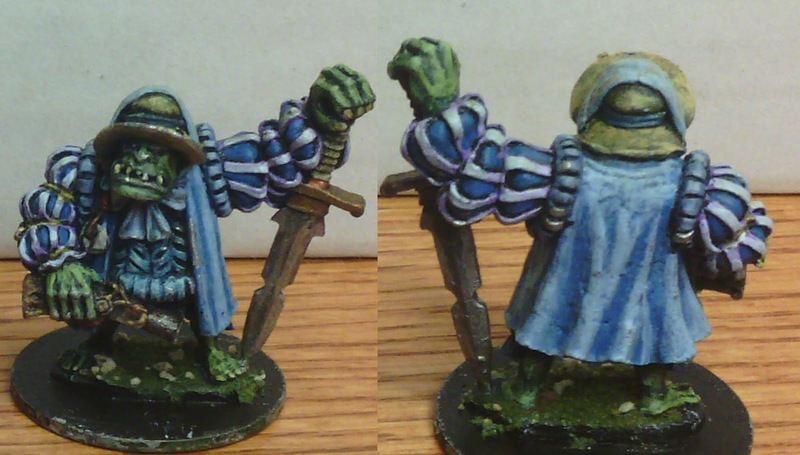 Love those Mantic undead figures. I can't wait to dig into my Mantic orcs, but I have DZC and some MERCS I HAVE to finish first. 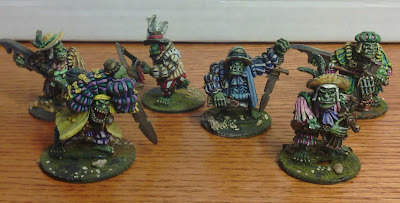 I really like the ghouls and skeletons fine detail - they really pop nicely. Agreed- those skeletons and zombies are excellent. You work with the Dallimore technique looks much more polished than mine ever did. It looks awesome all around. I'll have some posts in the next couple of weeks with some of my more embarrassing use of that.